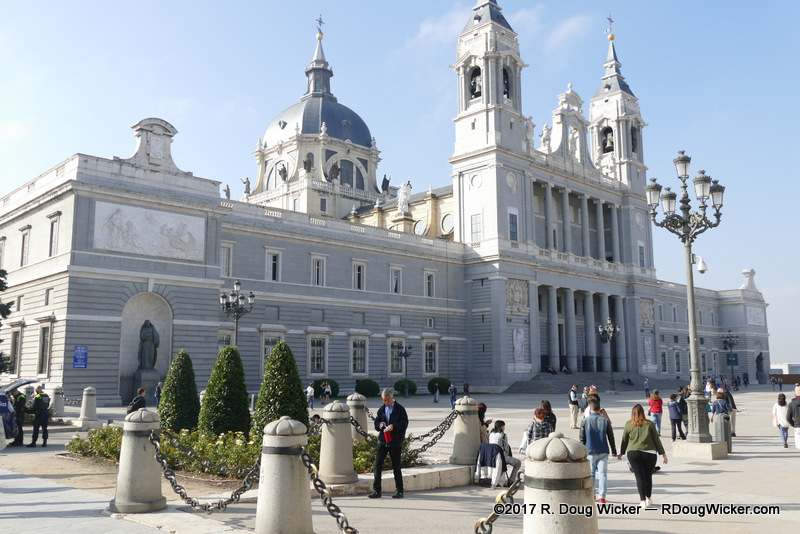 On day three our travel companions Dolores and Earl Daniels joined us for another trip aboard the Madrid City Tour hop-on/hop-0ff bus, but this time we had a specific destination in mind. 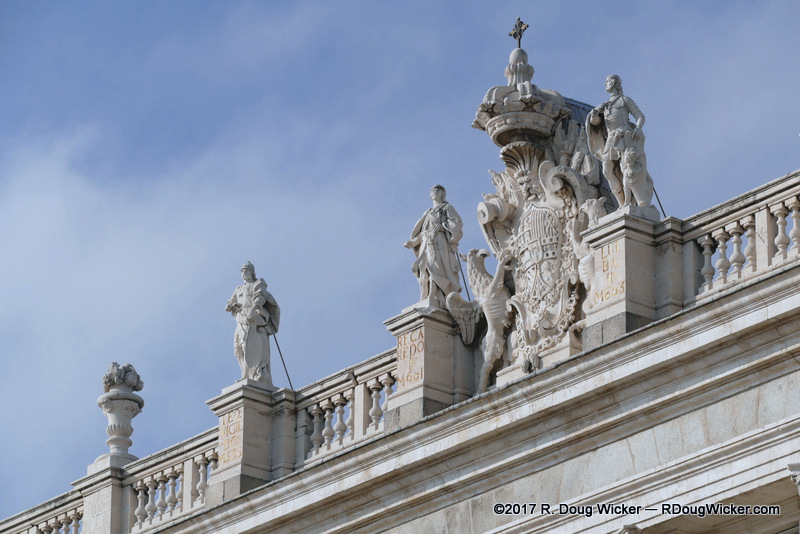 Our objective on Day 3 was the Palacio Real de Madrid (Royal Palace of Madrid) and the Santa María la Real de La Almudena (Almundena Cathedral). 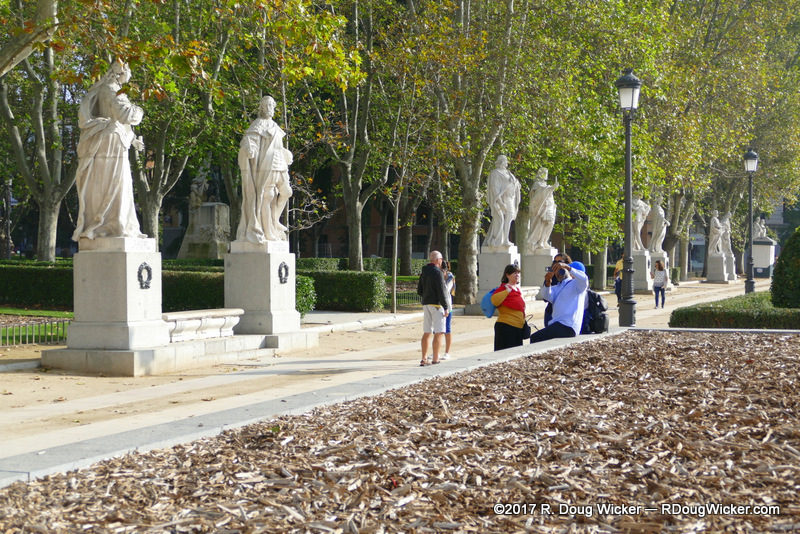 These two structures directly face each other with the Plaza de la Armeria running between the two. Construction of Almundena Cathedral began in 1883 and was completed 110 years later. Why so long? Because work on the cathedral was stopped during the Spanish Civil War (1936-1939), and didn’t start up again until 1950.